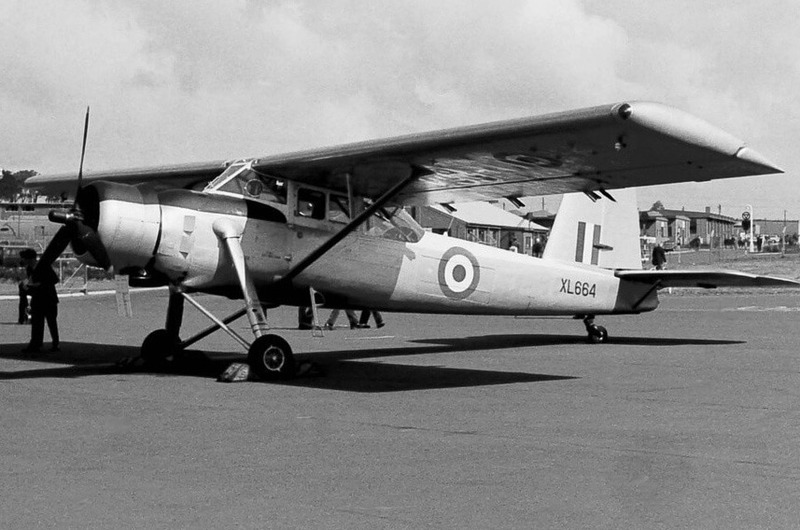 Built to an RAF specification, the Pioneer first flew in 1947. 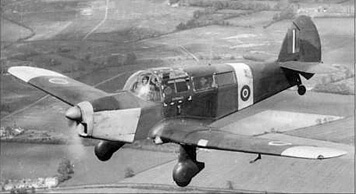 The original version used the De Havilland Gypsy Queen engine but performance was disappointing and the aircraft was not ordered by the RAF. 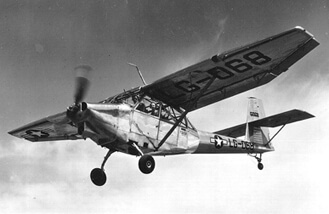 The company re-engined the aircraft with the Alvis Leonides engine, as the Pioneer II. 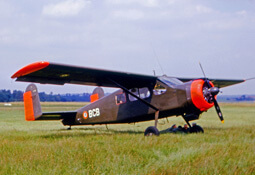 The Pioneer II demonstrated excellent STOL performance and was ordered by the RAF as the Pioneer CC.1. A total of 59 examples were built, most used by the RAF except for six used by the Ceylon Air Force and nine for the Malaysian Air Force. 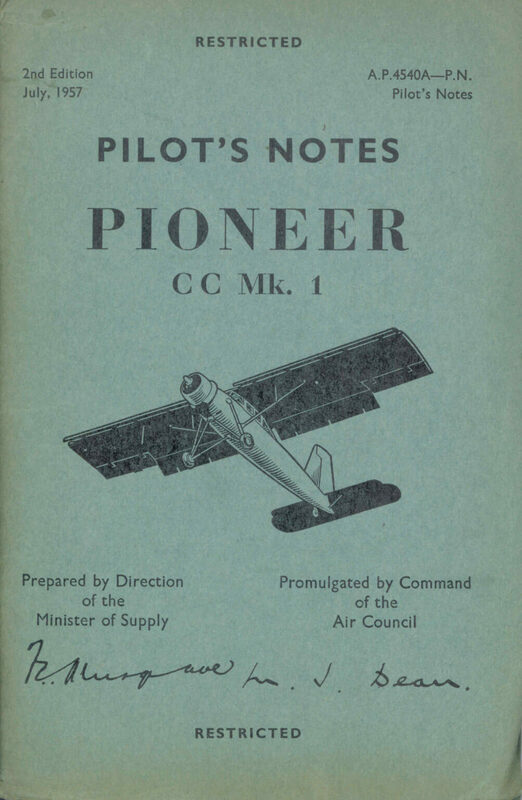 The title contains the RAF flight manuals (titled Pilot’s Notes) for the Pioneer plus several manufacturers brochures, has been scanned from the original manuals and retains any colour pages. RAF Pilot’s Notes for the Pioneer CC. Mk 1, AP 4540A-PN 1st Edition dated November 1953, with approx 32 pages. 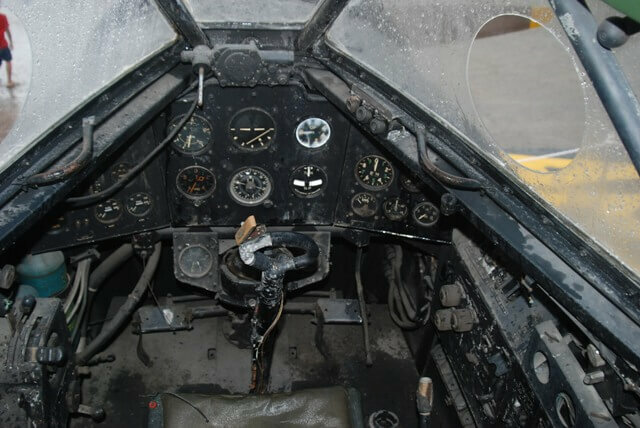 RAF Pilot’s Notes for the Pioneer CC. Mk 1, AP 4540A-PN 2nd Edition dated July 1957, with approx 50 pages. 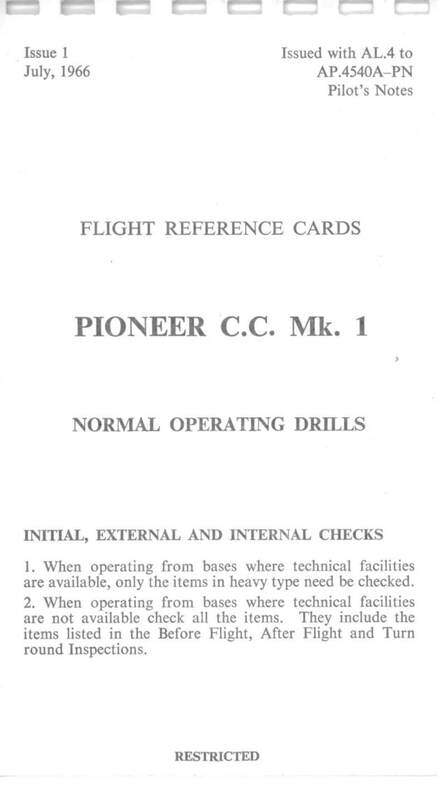 RAF Flight Reference Cards for the Pioneer CC. Mk 1, AP 4540A-FRC 1st Issue dated July 1966, with 12 pages. Manufacturers publicity brochure for the Scottish Aviation Pioneer (the early version with the Gypsy Queen engine). Undated with 3 pages. 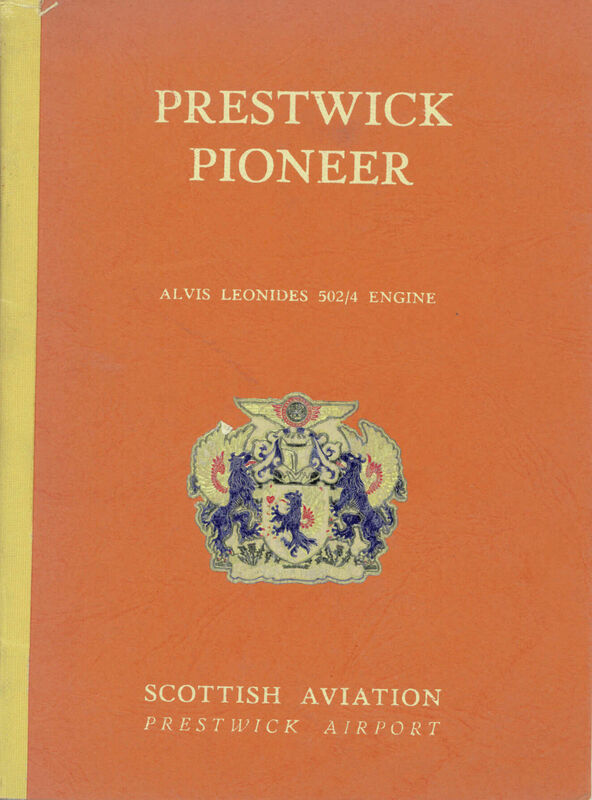 Manufacturers publicity brochure for the Scottish Aviation (Prestwick) Pioneer II, Issue 3 dated January 1956 with approx 24 pages. 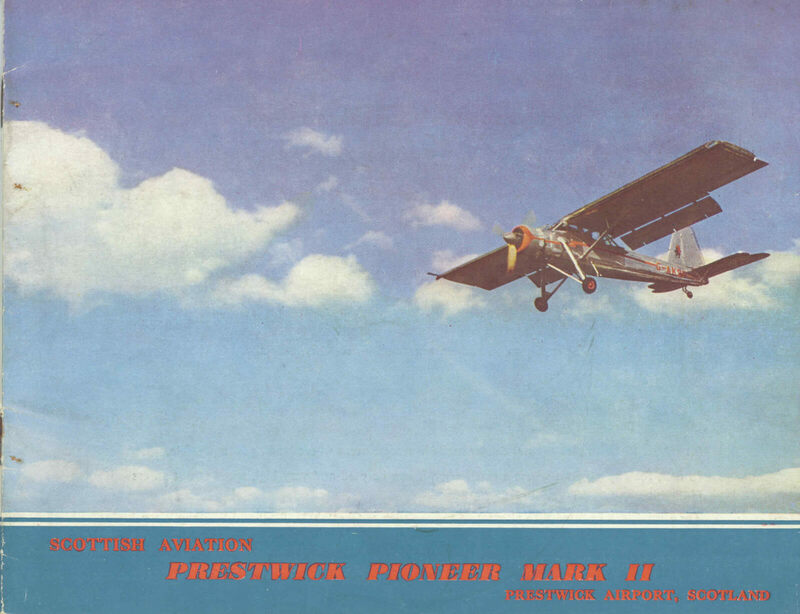 Manufacturers publicity brochure for the Scottish Aviation (Prestwick) Pioneer II, undated with 20 pages.